Changes in access to Aquamoves this Saturday - Aquamoves – Indoor and outdoor pools, fitness facilities and programs in Shepparton, Victoria. The Shepparton Cycling Club is conducting a Cycling Criterium Series event this Saturday 16 January 2016 from 4.30pm to 8.00pm. This will involve a change of traffic conditions when entering and exiting Aquamoves. 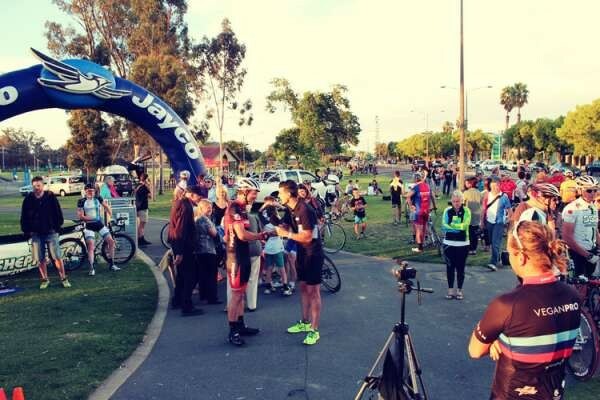 Entry to Tom Collins Drive will be permitted, however it may take longer to access Aquamoves from Welsford Street as there will be short delays when the Criterium participants ride through the area. You will then be permitted to park as normal. We recommend allowing extra time when leaving to visit us during the Criterium event time. When exiting the facility, you will need to do so via the road behind the Victoria Lake Holiday Park. If you are parked in an angle park closest to the Aquamoves facility, you will not be permitted to reverse out of the car park until a Traffic Mashall indicates that it is safe for you to do so. Aquamoves management are asking all patrons to please drive slowly and carefully through Tom Collins Drive for the safety of pedestrians and cyclists. It is a busy time at the caravan park with many families holidaying in the area. We remind you of the importance of following the directions of Traffic Marshalls at all times and being mindful of the safety of others. The Aquamoves Team thank you for your cooperation and apologise for any inconvenience caused.